A country’s energy infrastructure is its central nervous system. Gas and electricity transmission lines, power stations and renewable energy, are the drivers of economic development, as well as keeping our homes light and warm. 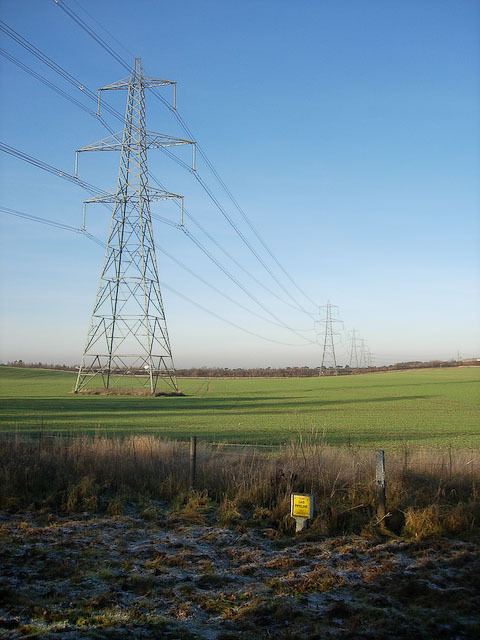 But in recent years, a growing sense of urgency has surfaced regarding the future of the UK’s energy infrastructure. Concerns about lack of investment in new power stations have fuelled media reports voicing fears about the challenges of keeping the lights on. The headline writers may be guilty of some exaggeration, but their concerns are not without foundation. Forecasts by Ofgem, the UK’s energy regulator, indicate that the country’s energy margin (the difference between energy generation supply and peak usage) could fall from 6% at the peak of winter demand in 2014-15 to a possible low of less than 2% just a year later. And just yesterday, National Grid was in the news with a warning that its capacity to supply electricity this winter will be at a seven-year low due to generator closures and breakdowns. “Significant quantities of the UK’s existing electricity generation capacity are expected to be retired soon, with major implications for security of supply unless the conditions to attract investment in new generation are provided. This situation is expected to be further exacerbated as the use of electricity for transport and residential heat increases demand. And that’s without taking the unexpected into account. The recent serious fire at Didcot power station in Oxfordshire was just the latest in a number of incidents affecting power supply this year. Fires put two power stations in Shropshire and Yorkshire out of action, and four nuclear reactors have been taken offline until at least the end of the year for safety reasons. At the same time, plans for the next generation of gas-powered stations have yet to be enacted, and uncertainty surrounds the commercial viability of new nuclear energy capacity. Added to this complex mix is the contentious issue of fracking, which we focused on in a recent blog post. For some, the answer to the energy gap lies with renewables, in particular wind power. Proponents argue that large-scale deployment of wind farms offers dual benefits: generating increasing amounts of energy, as well as minimising the effects of climate change. A report, published earlier this year by the Royal Academy of Engineering (RAE) explored the implications of increasing the amount of wind energy on the electricity system. While acknowledging that large wind turbines have an impact on local communities, the RAE indicated that the installed capacity of wind could more than double to around 26GW, providing around 20% of electrical energy consumed. That might seem like a tall order, but figures from the Department for Energy and Climate Change (DECC) show that in 2011 9.4% of UK electricity came from renewable sources, up on 2009, when just 6.7% of electricity was renewable. Instead of investing in wind power, Paterson argues, the UK should be looking at four alternative policies: shale gas, combined heat and power, small modular nuclear reactors and demand management. As the energy debate heats up at national level, some local authorities are taking their own initiatives. Security of energy supply is of great concern to Southampton, a city keen to address strategic priorities, such as tackling fuel poverty, sustaining public services, generating economic development and reducing city-wide carbon emissions. And so, Southampton City Council has taken a leading role in collaborating with other local authorities to build capacity through local energy generation schemes, large-scale energy efficiency works and local energy networks. The investment shows how seriously the council is taking energy resilience. At the same time, along with local councils in six countries, Southampton has been a key partner in the European Union’s Leadership for Energy Action and Planning (LEAP) programme. LEAP aims to share expertise among partners to reduce energy consumption and carbon emissions, and increase the use of renewable energy. Measures such as these are relatively small in scale, but they might prove crucial as we head into another winter. N.B. Abstracts and full text access to subscription journal articles are only available to members of the Idox Information Service.